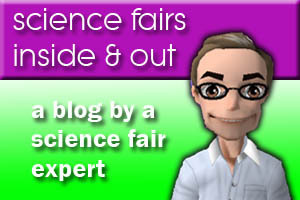 Mister Science Fair.com | Fun Frankenstorm Activity: Learn About How Scientists Can Predict ‘The Perfect Storm’ — Make a Weather Satellite at Home! Fun Frankenstorm Activity: Learn About How Scientists Can Predict ‘The Perfect Storm’ — Make a Weather Satellite at Home! A Fun Space / Satellite Engineering Activity You Can Do At Home For Free! During their trip to establish THL-Taiwan (known as 藏寶家 – Tsang Bao Jia), THL Co-Founders Penny Noyce and Barnas Monteith visited the Taiwan International Science & Engineering Fair, and saw a number of projects in Earth & Space Sciences about the Taiwan earth observation (imaging and sensing weather satellites) satellite series known as Formosat. Formosat was developed with the collaboration of US, European and Taiwanese space agencies. Formosat (and related project COSMIC) was designed, among other things, to provide highly accurate weather and related data to the scientific community, for current day weather, as well as long term studies of changes in the Earth’s atmosphere. Formosat-I was designed to look at the ocean and ionosphere (the part of the atmosphere from 85 to 600km above Earth, which receives most of the effects of solar radiation from the sun). Formosat-2 does what they call high resolution change detection (a fancy phrase meaning it’s really a giant digital camera), so it can help with the preparation for disasters such as hurricanes and tsunamis and was useful in the emergency management for natural disasters such as Katrina (and because of its excellent resolution camera, it can also be used to monitor security situations such as nuclear power plant sites in unfriendly nations). Brief info on the mission, direct from NSPO, can be seen here. Formosat-3 uses GPS to produce highly accurate coordinates for ionosphere and magnetometer (which measure the strength and direction of magnetic fields, like that of Earth itself) data. The new COSMIC project (Constellation Observing System for Meteorology, Ionosphere, and Climate system - based on the Formosat series mission) uses a number of Formosat-3 GPS mini-satellites working together to produce accurate weather data at various elevations above ground. Thus instead of using data from just one expensive satellite, with one set of sensors, this more cost effective LEO (Low Earth Orbiting) satellite array of data can be used to more precisely predict and monitor the impact of severe weather such as typhoons/hurricanes (like the two below, that Barnas experienced this summer), and more. The COSMIC system, jointly developed by Taiwan and the US is one of the most advanced weather systems in the sky today. These satellites previously used to be launched from various types of space vehicles in the US, including US Space Shuttle, and in fact a Taiwan satellite mission was in the last flight of the US Space Shuttle project. So, with data from Formosat and similar weather satellites, students can not only develop new formulas and methods for predicting and planning for current day weather, but also track global trends, and even climate shifts. The good thing about science fair projects of this type is that a large amount of the data is freely available online, as it is from a publicly funded agency. From there ,you can do an infinite number of different types of computer simulations and develop new formulas which could potentially be useful to meteorologists throughout the world. Following the science fair, Penny and Barnas also visited NSPO this year – the NASA of Taiwan, based around the center of the island in Hsinchu, Taiwan. We learned that NSPO is planning not only to expand its COSMIC multi-satellite weather array program (see a youtube video about COSMIC here), but that it is working closely with US’s NOAA (US National Ocean and Atmospheric Administration) to do so. Our guide at NSPO provided us with a cool and simple activity that you can do at home if you have an interest in meteorology or aerospace science. He provided us with a piece of paper, containing all the parts of Taiwan’s Formosat-II satellite, which you can cut out, glue together (using general purpose, paper or wood glue), and pointed us to online images of what the real satellite looks like. The satellite model contains accurate scale paper replicas of the solar panels (how the satellite obtains energy to power its instruments), it’s propulsion system (how the satellite can move around), and its body which contains various instruments (to monitor the satellite, collect data, and then send it back to Earth to be studied). You can see some of the images and read more about the program here. The pictures above, of the final model, will provide some clues about how to put it all together. However, you may also want to download and print some pictures of Formosat-II (or preferably, to be environmentally friendly, just google them and leave them open on a laptop screen which you can occasionally check as a reference for how the satellite looks). Patience – again, there’s no instructions, and you need to research how the satellite looks yourself, so it’s both a fun and challenging project, requiring some preparation — and hopefully some learning, along the way (you can start with the several links provided in this blog post). One of our scientist-authors at THL, Micheal Erb, is studying variations of the orbit of the Earth, around the sun, using a number of scientific tools, and one of them is satellite data. His weather mystery/detective story book, which is available at THL’s online store, as well as Amazon.com is called “Kelvin McCloud and the Seaside Storm”. THL will soon be releasing a weather activity kit to accompany this book, expected to be released later this year. If you have fun making your satellite, and want to purchase a kit, we recommend taking a look at the upcoming THL solar kit series – we’ve got cars, fans, plant watering kits and more. Nearly all satellites use photovoltaic (solar) energy in one way or another, and this is a fun way to learn more about how you can make energy just by putting a panel out side, and facing it toward the sun. This entry was posted in Cool Science Activities and tagged children's space book, children's weather science, COSMIC satellite, frankenstorm, hurricane science, satellite, space book, space kit, space weather, weather kit. Bookmark the permalink.